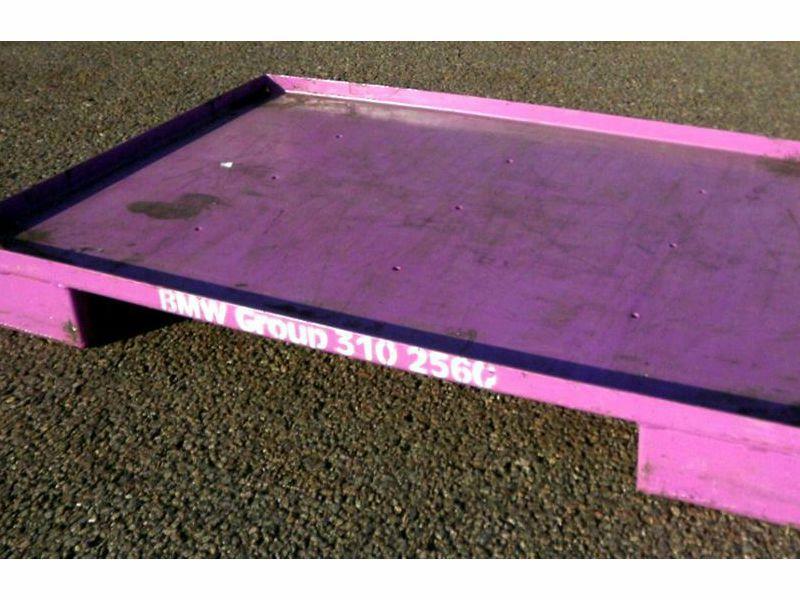 The flat steel pallet has a surrounding stacking frame with a height of approx. 36mm. The pallet can be driven on 4-way with forklift truck and has a static payload of up to 1000kg. The stacking factor is 27. Price on request = quantity and place of delivery dependent!